love these beautiful butcher blocks that Elspeth at Willcoxon Designs uses to add work space and interest to her projects. 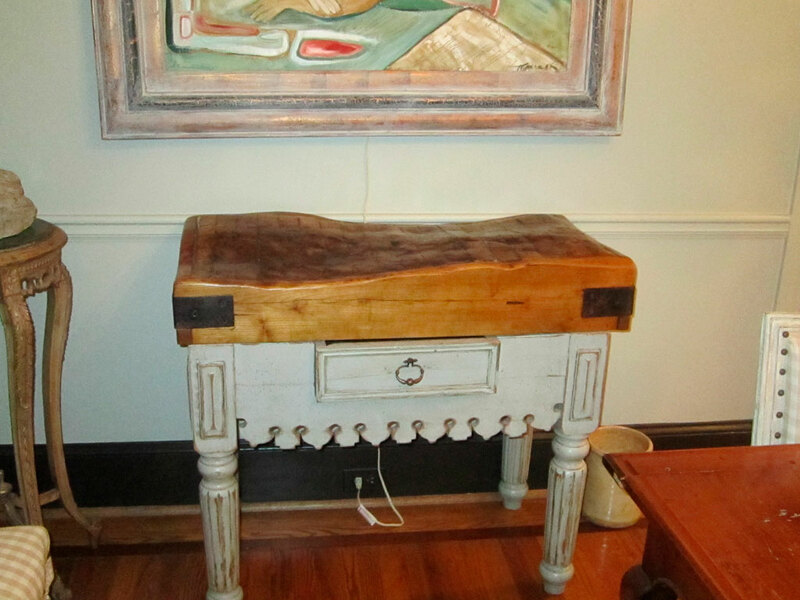 Her unique twist is that she custom designs the table bases for antique English butcher blocks. I would love one of these Lovelies to sit beside my new range and solve two design problems–lack of space and mobility. I called Willcoxon Designs to find out the availability of a small table, and you guessed it–none right now. I’m using plan ‘B’ and having one built by local furniture maker Rob Cart–problem solved. The fast pace of the last few weeks has slowed down–everything I need now seems to be a Special Order, and we all know how that goes. More later this week, or maybe next week. 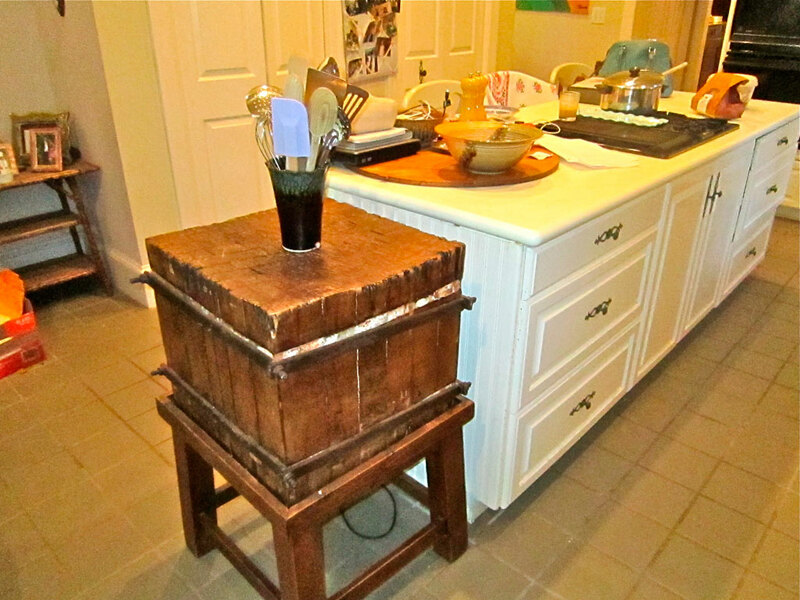 The perfect butcher block–I love that it has a drawer! Great addition to the island–extra work area and added interest. Could you use one of these butcher blocks in your kitchen?